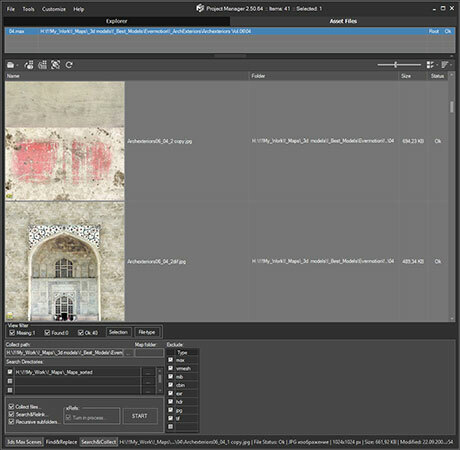 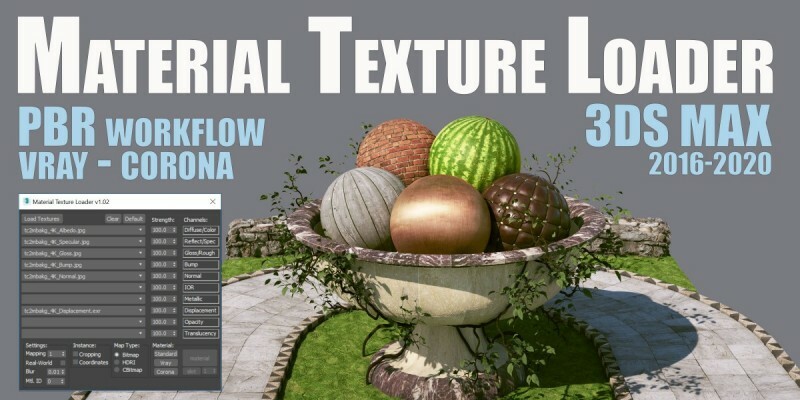 The Material Texture Loader is a 3ds Max script designed to quickly load in textures, create a material and apply that to your scene. 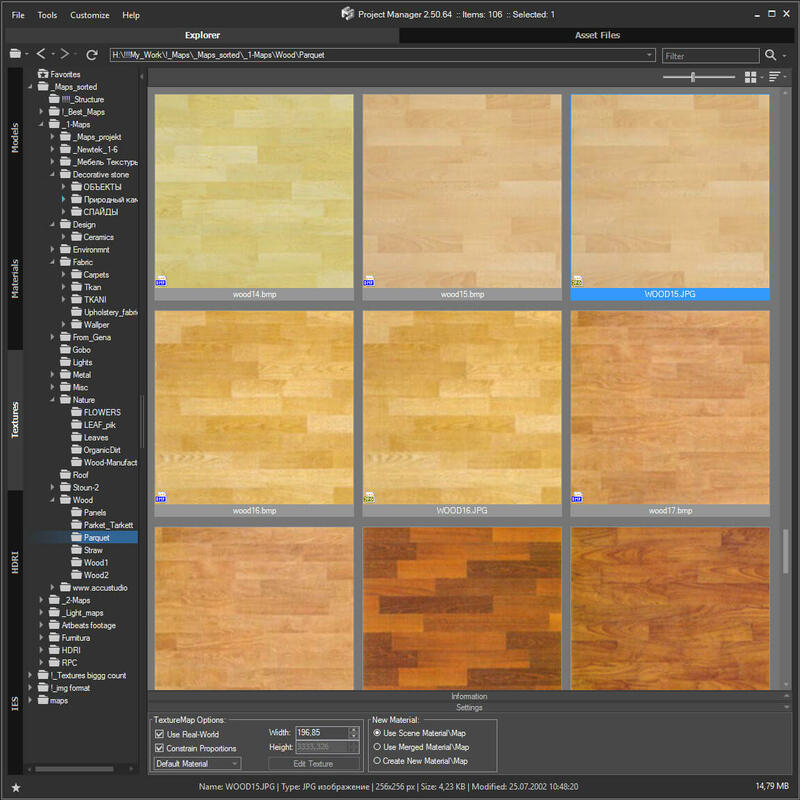 It works well for a PBR texture workflow, but it can be used for any type of texture that needs to be loaded as part of a material. 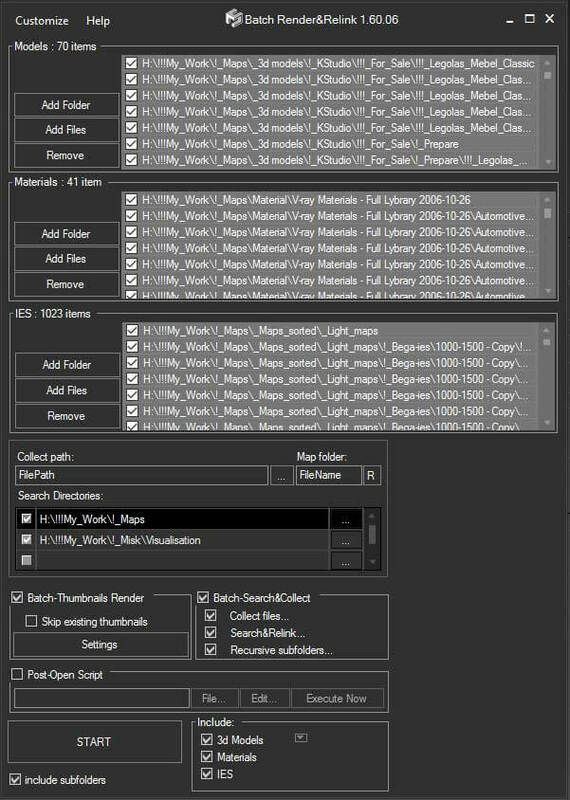 Polygon Tools are scripts pack for checking 3D-model during modeling and UV-mapping process in 3ds max. 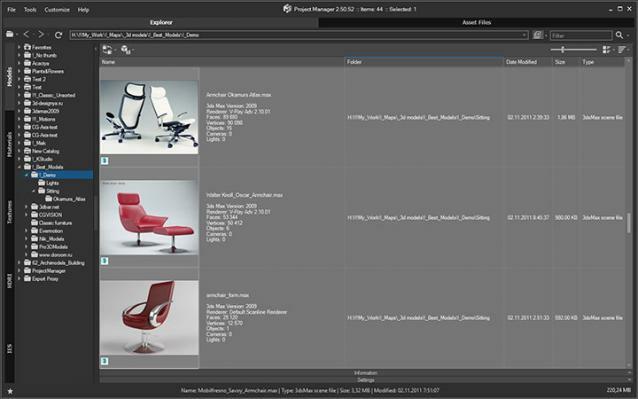 Target audience: enthusiasts, beginning 3D-modelers, outsource managers, Art QA, art-managers and etc. 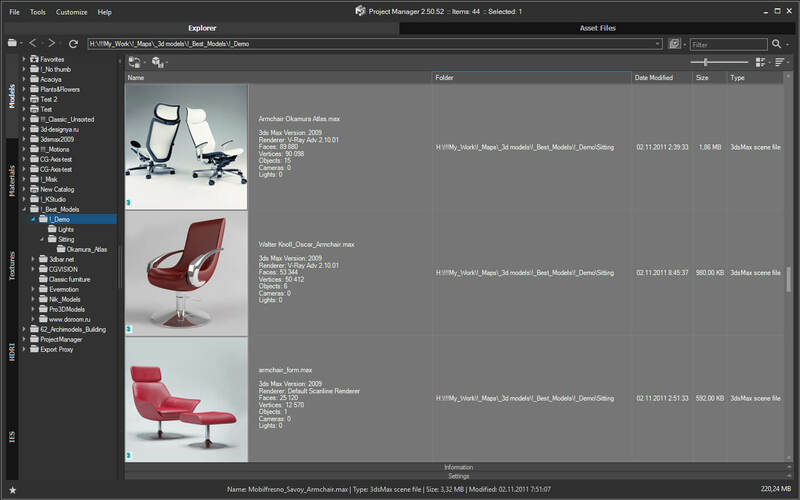 Polygon Tools was created to facilitate common problems search in 3D-models and speed up the work by reducing the amount of routine work. 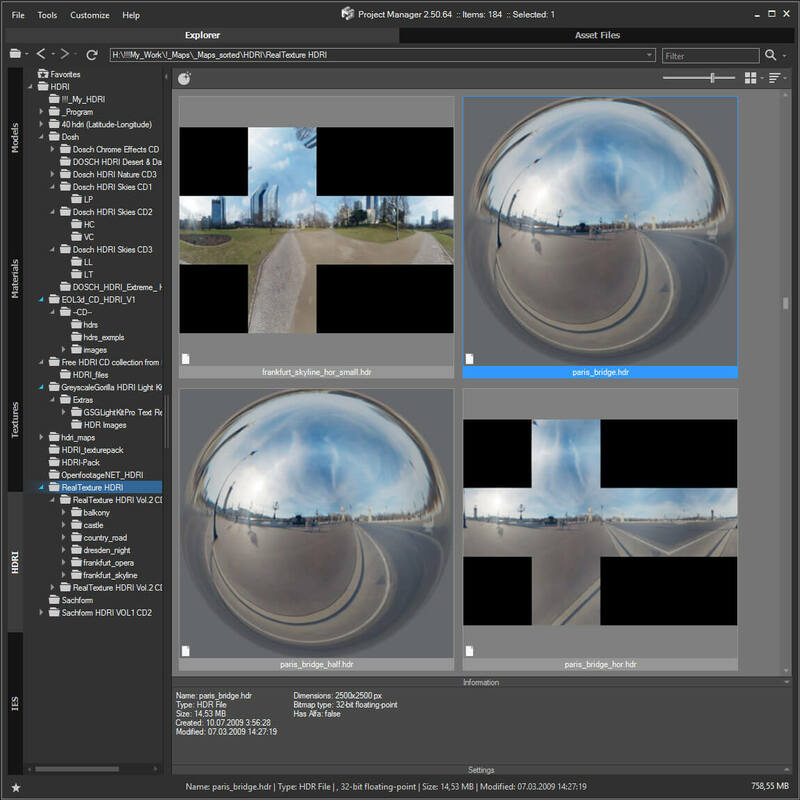 Advanced UV Normalizer (AUVN) is a tool for normalizing the Texel Density across different objects. 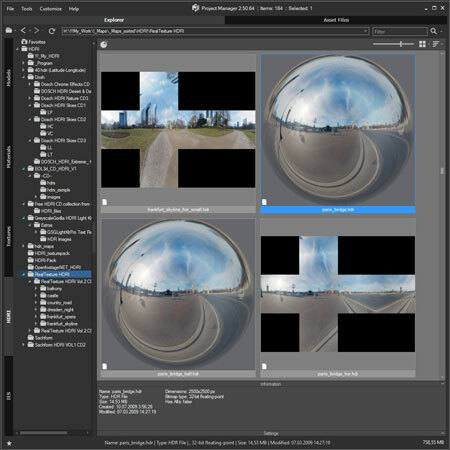 It has a comprehensive set of features to calculate, get, set and modify the Texel Density of your models based on different parameters such as Geometry Area, Texture Area, UV Area as well as the Geometry/Pixels and Geometry/UVs Ratios. 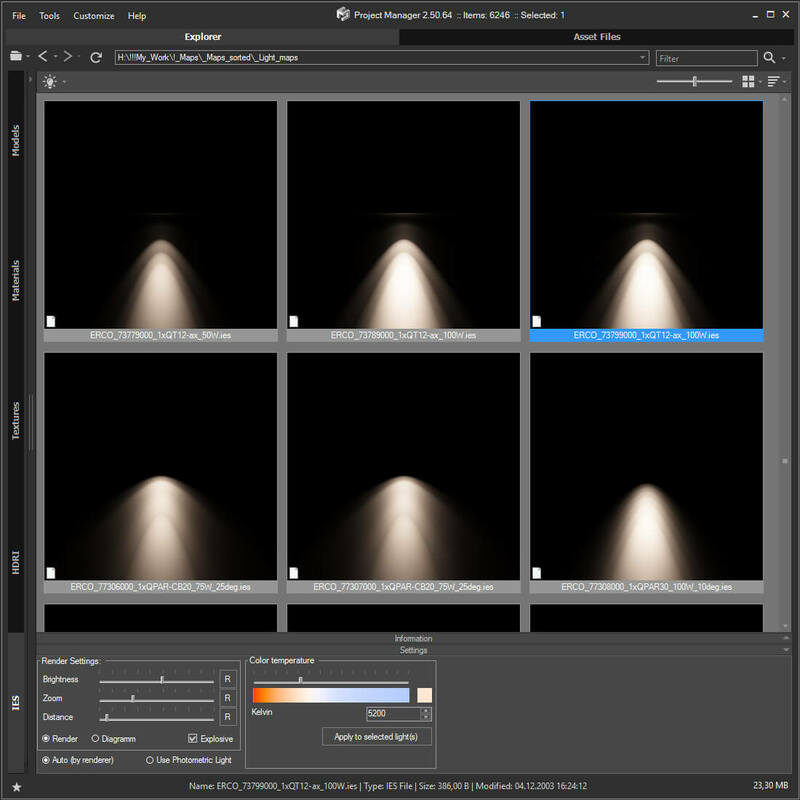 The Texel Density can be set using a fixed texture size, or you can assign different AUVN textures and normalize them all at once using their texture size. 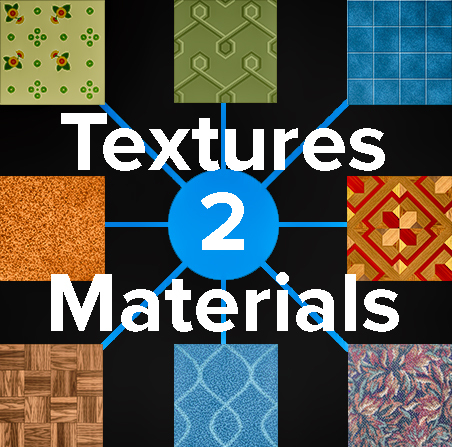 Textures2materials is a very handy plugin which can turn multiple textures into materials at once (into multi-material or into multiple material slots). 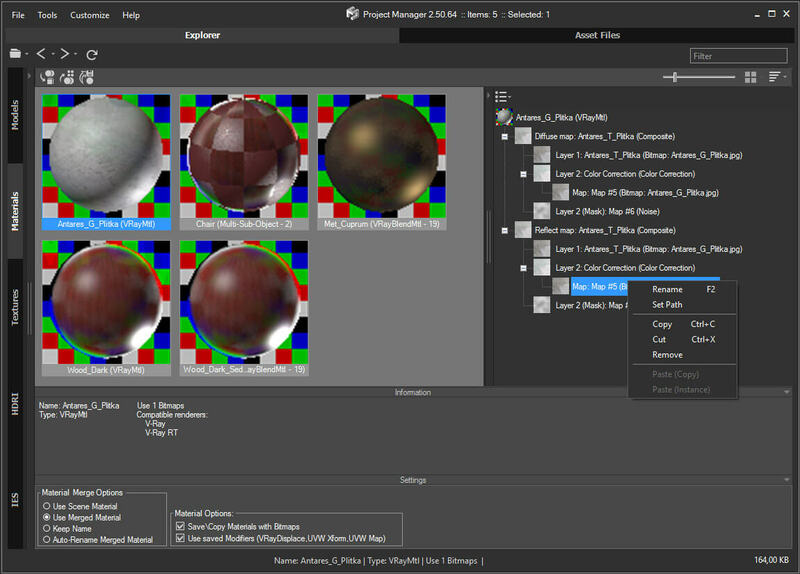 It also checks if your textures have a bump versions and load them as bump. "Must have" plugin for any 3D designer. Very useful plugin which can make your materials dirt in one click! 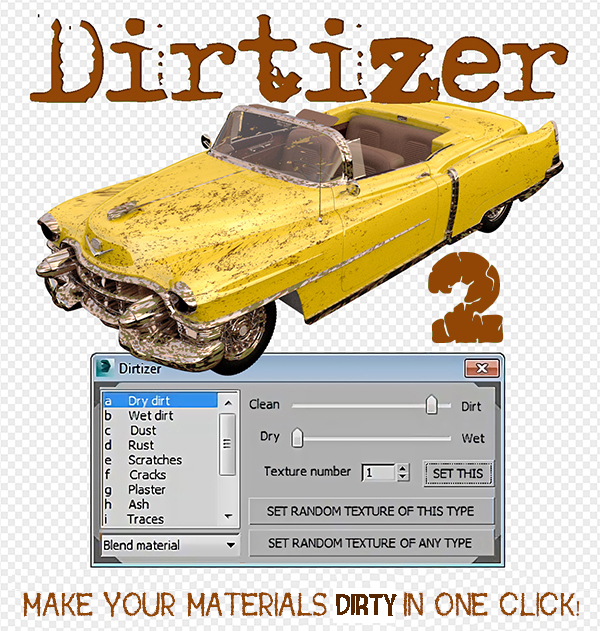 - You can control dirtiness. 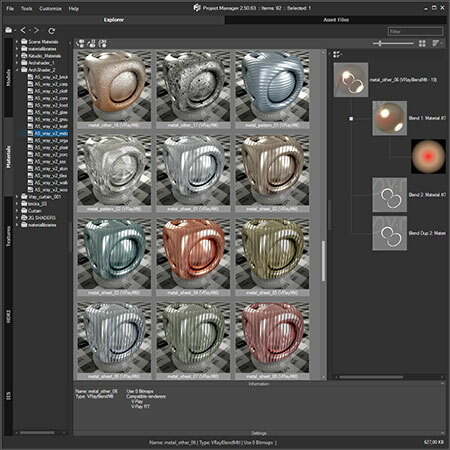 - You can make presets more dry or wet.